There's a dizzying array of apps and websites available to help with your personal finances. Some are designed to manage monthly income and bills, while others help you prepare for retirement, shop smarter, or invest wisely. 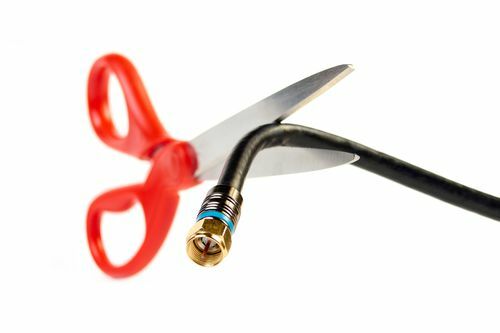 There are even apps that negotiate cheaper cable bills, cancel unused subscriptions, and help you save on travel expenses. With so many options vying for space on your smartphone and in your life, it can be hard to decide which are best. Here are some of the most notable choices in the world of personal finance apps. LendEDU is a comparison website for consumer financial products such as student loan refinancing, personal loans, and credit cards. It's designed for transparency, providing quotes from more than 30 financial institutions in one place, so you can compare offers and costs. Birch Finance asserts that the average consumer misses out on hundreds of dollars in rewards annually by using the wrong credit card. Birch is designed to help users manage rewards programs and points. It plugs into your bank account and reviews your spending habits, providing a report about your shopping history and where you gained or missed points. Birch recommends specific credit cards to use and where to use them to reap the most rewards possible. It even uses geolocation to provide alerts when you walk into a store, suggesting the best card to use there. Rize is designed to help you put money toward the things that truly matter to you by putting saving on autopilot. You can set any number of savings goals you want, and the app will move money from your checking account to your Rize accounts automatically, on a schedule you choose, eliminating the need to keep track of multiple accounts at a bank. In the past Rize has provided 1.16 percent annual interest (at a time when the average bank interest rate was far less), although it's revamping for 2019. Recognized by Time as one of the best apps of the year in 2017, Empower helps users renegotiate utility, cable, phone, and internet bills. 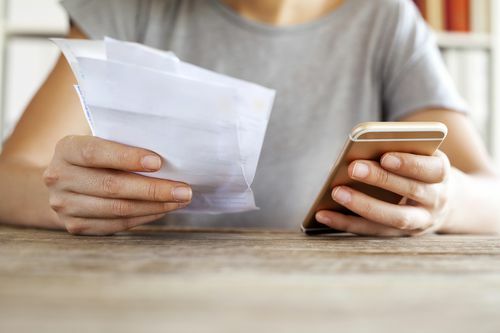 The app's creators say one user saved $500 on her cellphone bill and got an unlimited data plan that she didn't have before signing up for Empower. It also identifies high-interest savings accounts, cancels unwanted subscriptions, and alerts users of bill increases. Affinity Federal Credit Union has created a unique savings tool known as the Millionaire Calculator. 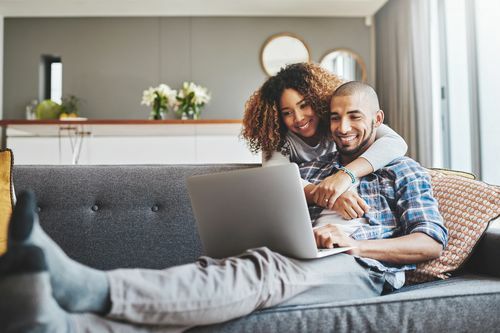 It uses basic information such as your current age and monthly savings estimates to determine how long it would take for your savings to grow to $1 million. (The calculations are based on the impact of compound interest.) Think of it as motivation to stay the course or amp up your efforts at saving money. Stash is designed to help novices invest for short- and long-term goals. Users can open an investment account with as little as $5. Stash teaches new investors the core principles of investing and provides a selection of curated investments that reflect their goals, interests, and personal beliefs. The app also has retirement and savings features. The Plum app links to your bank account to monitor spending and set money aside automatically. It does this by analyzing transactions and using information on your income, expenses, and spending patterns to determine how much you could (read: should) be saving. Each week the app transfers a small amount of money into your Plum savings, which you can access and withdraw at any time, but where it remains safe from impulse purchases. Consumers who shop online with TopCashBack save by getting a small percentage of cash back (as the name implies) on eligible purchases. TopCashBack works with more than 4,000 merchants, from retail to travel. The app is free and allows users to cash out via PayPal, direct deposit, or gift cards. Users can also earn cash for referring friends. Like other apps, Clarity Money can cancel wasteful subscriptions, help negotiate lower bills, and create a savings account for you. This app also notifies you when you're spending more than you've budgeted for various expenses. Is too much of your food budget going toward dining out, for instance? Think of the app as someone looking over your shoulder, keeping you on track. Need some help tracking spending in order to keep household finances under control? Good Budget is based on the time-tested envelope system. Users create virtual envelopes for each area of household expenses, such as groceries, gas, and entertainment, and deposit money into each. More than one person — say, you and your spouse — can sync their accounts and draw from the same envelopes. Throughout the month, Good Budget lets you know who's spending money, where it's spent, and how much remains in each envelope. Earn rewards (or kicks, as they are called in Shopkick) for shopping online or offline with this app. It gives users points for making purchases that can be converted into gift cards at partner stores — a variety of well-known retailers that have included Starbucks, T.J. Maxx, and Sephora. Think of it as getting paid to do the shopping you were going to do anyway. Similar to Shopkick, the Ibotta app rewards you for shopping. In this case, you're not earning points but getting real money for buying featured products at stores ranging from Walmart to Kroger, Publix, Food Lion, BevMo, and CVS. In other words, you can earn money for merely grocery shopping or going to the drugstore. And the cash can be transferred to a PayPal or Venmo account. It's cold, hard cash to help pay other bills. Organize coupons in one place with this handy app to save money when shopping. Rather than risk leaving coupons at home or losing them, just take pictures of printed coupons from various retailers. The SnipSnap app makes them digital and ready to use on a mobile phone. It also contains a database of coupons that others have uploaded. Impulse purchases happen everywhere, even at the grocery store. Grocery IQ was designed to help prevent such human failures by letting users build detailed grocery lists, including organizing products by aisle, by favorites, and by store. It includes integrated coupons and a store locator. 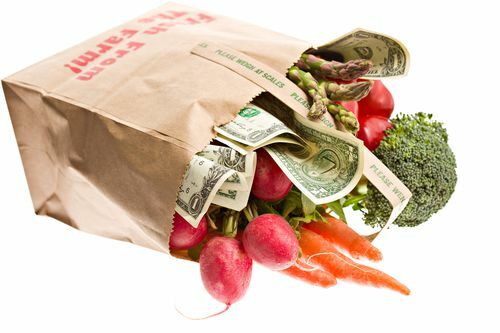 Grocery IQ has been described as a must-have for those trying to keep a grocery budget under control. If you have a mountain of bills from various sources, keeping track of everything can be challenging. And sometimes a bill can be overlooked altogether, causing late fees and affecting your credit score. Bill Tracker is designed to ensure you never miss another bill payment. The app keeps due dates and bills in one place, and issues notifications for impending payments. Due dates are also highlighted on a calendar in the app. You Need a Budget is designed to help you get your finances under control — in other words, stop living paycheck to paycheck, get out of debt, and save more money. You can connect bank accounts to the YNAB software and budget across multiple devices in real time. The software, which can be tested for 34 days for free, costs $7 a month. A discussion about top financial tools would hardly be complete without well-known Mint. This free service tracks income and expenses from connected banks and credit cards. It allows users to create budgets and provides suggestions based on spending. Also noteworthy: Mint will show you your credit score for free and offer advice on how to improve it. Assess your net worth, analyze your portfolio, and plan for the future with this website and app. Personal Capital invites users to link all their accounts to its dashboard to get a complete picture of their finances. It can also assess the health of your current portfolio with free tools such as the Fee Analyzer and the Investment Checkup. A retirement planning feature lets users build a customized retirement plan. While technically not money-related, LastPass is invaluable when it comes to protecting financial information, which, if exposed, could lead to countless headaches. LastPass generates strong passwords and autofills them so you don't have to remember them. And when you're making a purchase online, it fills in payment and shipping details. LastPass allows for safe storage of digital records — insurance cards, Wi-Fi passwords, and more. Want to know whether you would qualify for a big purchase, such as a home? Quizzle provides a free VantageScore credit score and a TransUnion credit report every three months. It also provides home value estimates for free and allows users to dispute errors on their credit reports. The Groupon website and app provide discounts on all kinds of products and services, from facials to restaurants to amusement parks. It's still worth browsing Groupon before making purchases. 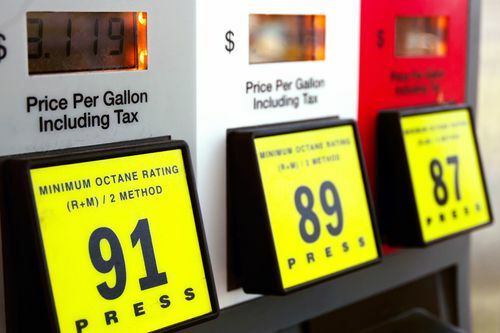 GasBuddy identifies the cheapest gas prices near you. Users report prices, read and submit station reviews, and complete challenges to win gas cards. There's also a trip cost calculator that can determine how much you need to budget for gas, based on information such as your vehicle make and model, as well as the starting point and endpoint for a particular trip. Unbury.us allows users to input loans, current balances, minimum payments, and interest rates, and choose a repayment method: avalanche (pay off the debt with the highest interest rate first) or snowball (pay off the one with the lowest principal first). The results show the change in remaining principal, principal paid, total interest paid, and monthly payments over time. The goal: to help you figure out how best to get out from underneath your debt. A money-saving app for travelers, Hotel Tonight is famous for finding bargain prices on last-minute bookings, so you don't have to shell out hundreds of dollars when you unexpectedly need a room. With Hotel Tonight, it's easy to identify deals. The money you save can be spent elsewhere, perhaps paying down debt or on gas for your next road trip. These 50 tips, gleaned from Cheapism.com's 2014 blog posts, can help frugal consumers save money in the new year.